The Microsoft Web Platform is a powerful set of technologies for building Web applications and services. 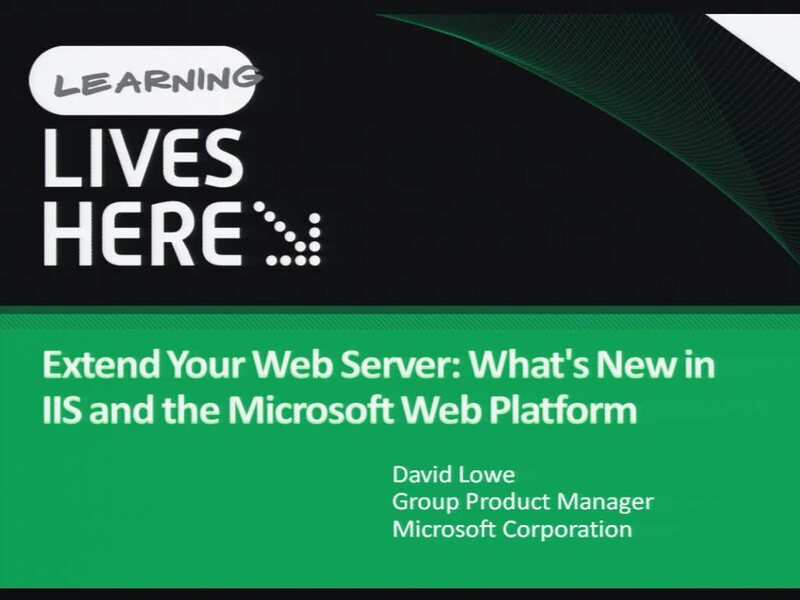 In this session learn how customers can use the new Web Platform Installer to more quickly develop, deploy, and host ASP.NET and PHP Web applications. Also see how server administrators can use IIS 7.5 in Windows Server 2008 R2, which offers built-in support for .NET on Server Core, and new IIS extensions to simplify Web server configuration and management.